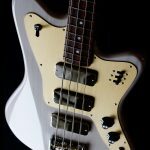 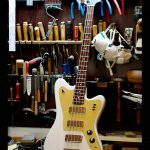 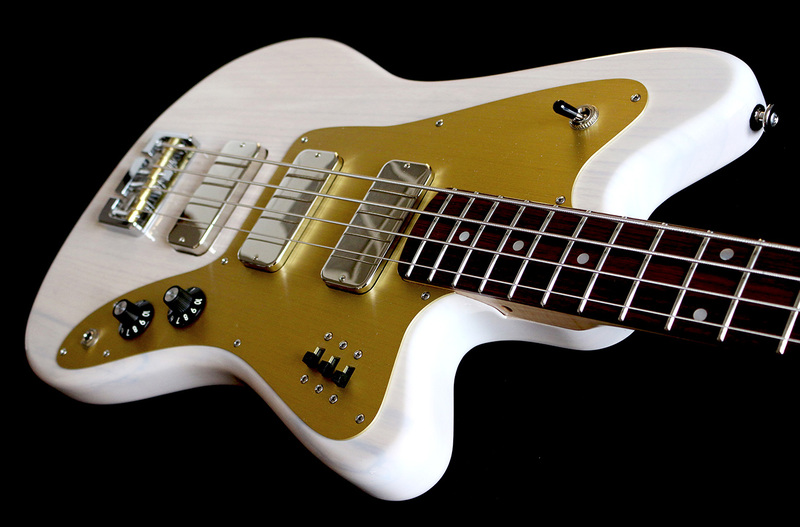 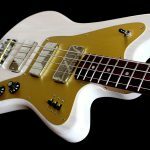 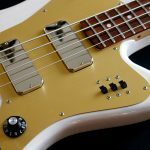 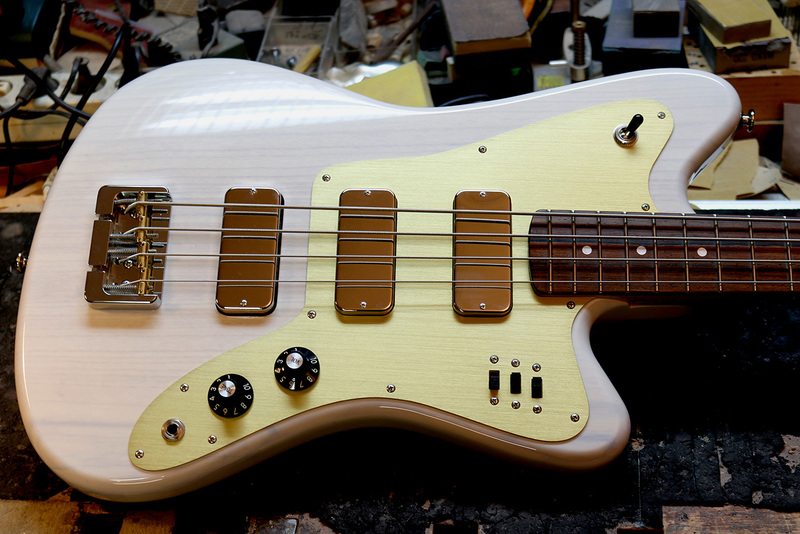 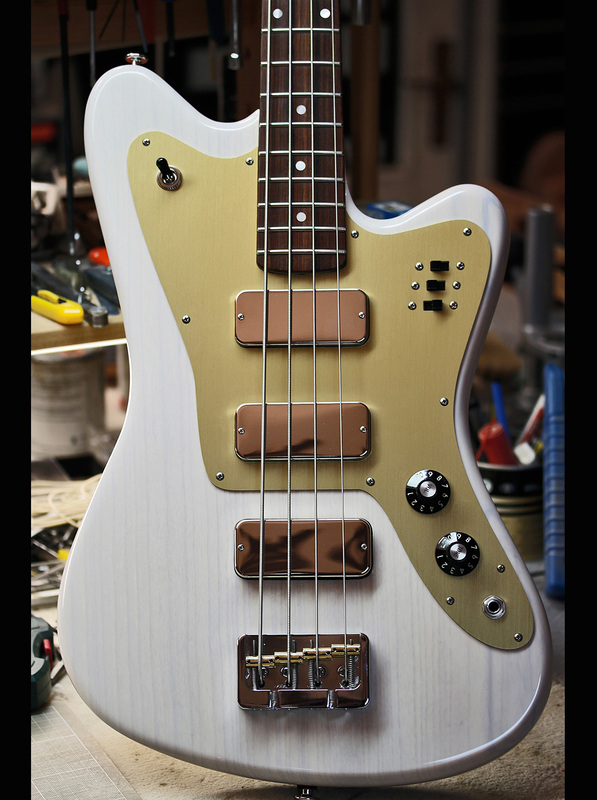 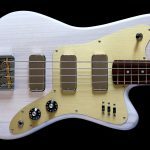 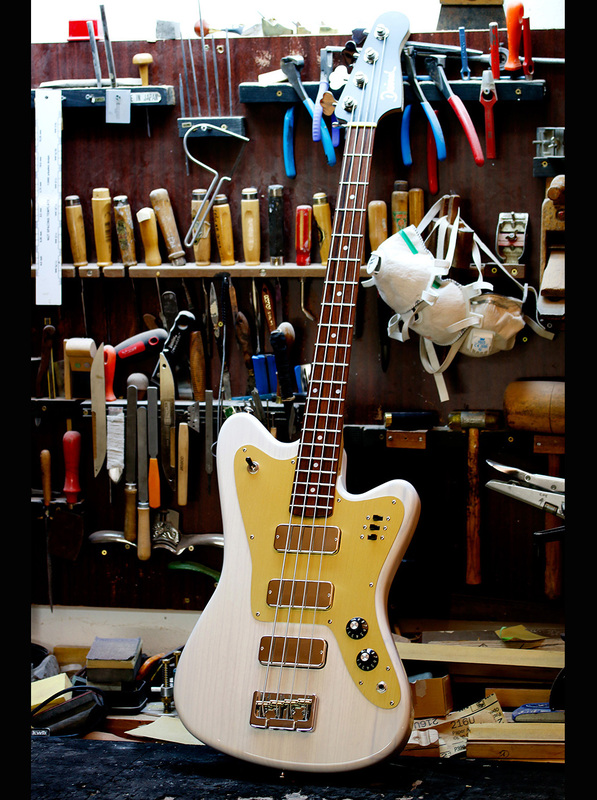 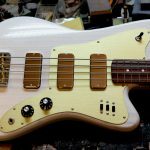 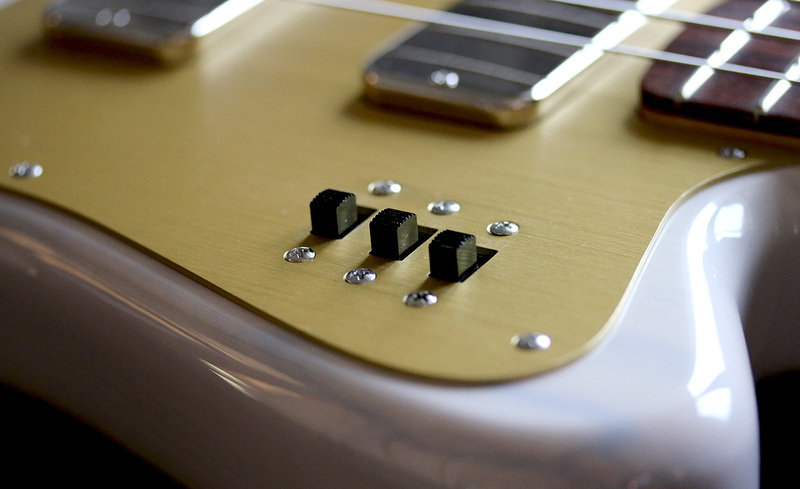 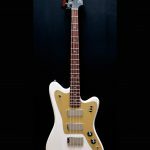 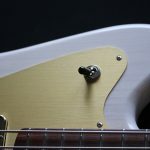 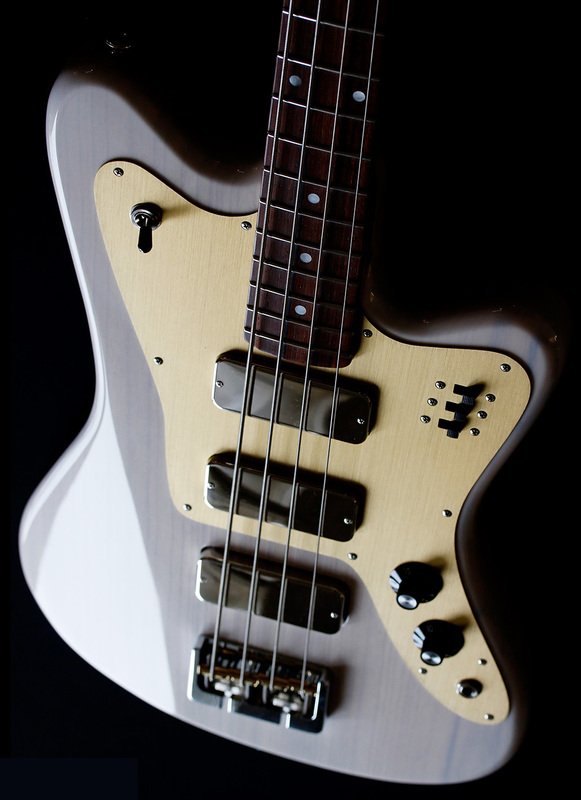 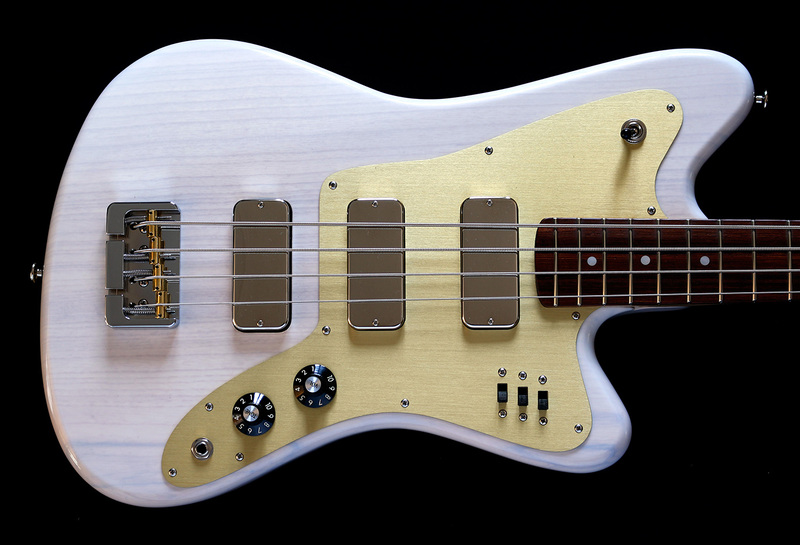 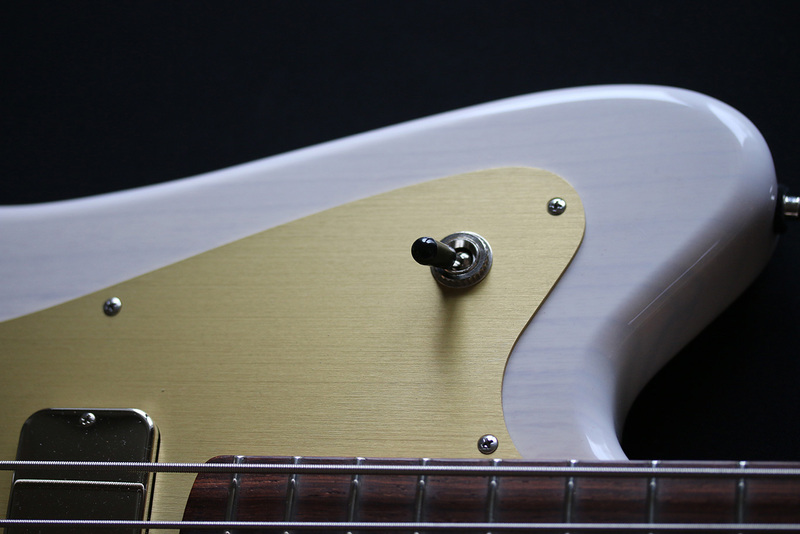 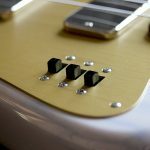 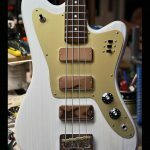 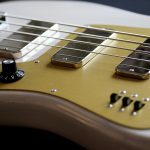 This is a very beauty Deimel Firestar Bass finished in »Paper MoonWhite« on a solid swamp ash body with a golden anodized pickguard and nickel Lollar Thunderbirds. 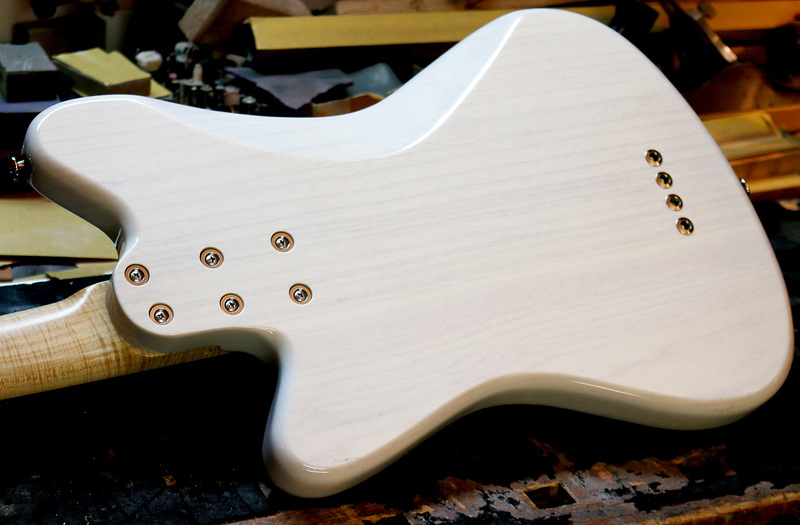 »Thundering swamp«, we would describe its sound. 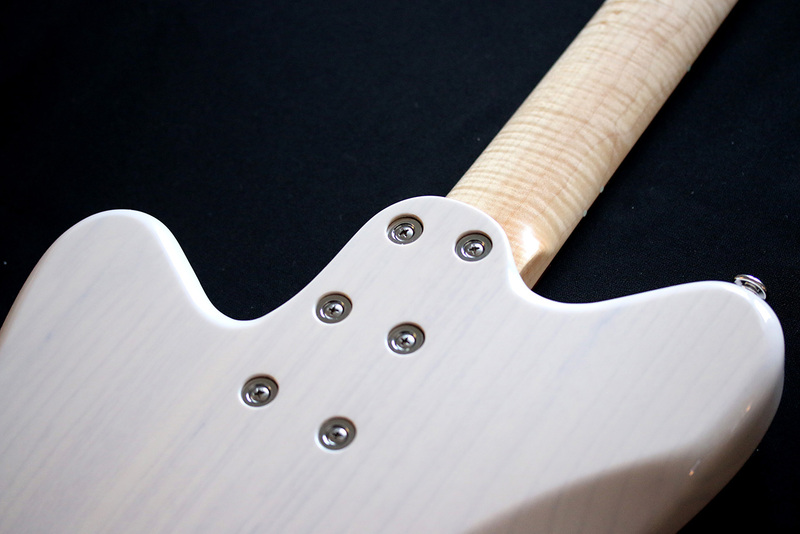 All that wide range of a good single piece of swamp ash is combined with a bolt on, figured canadian maple neck with a rosewood fretboard. 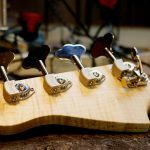 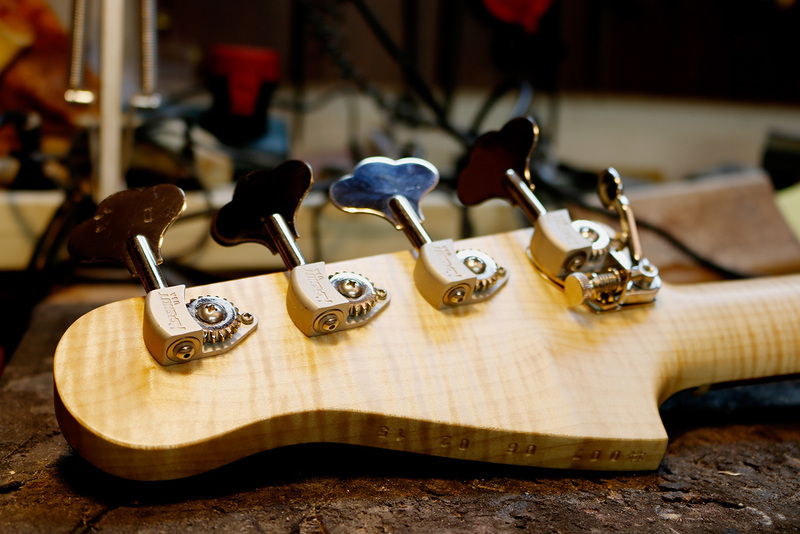 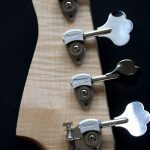 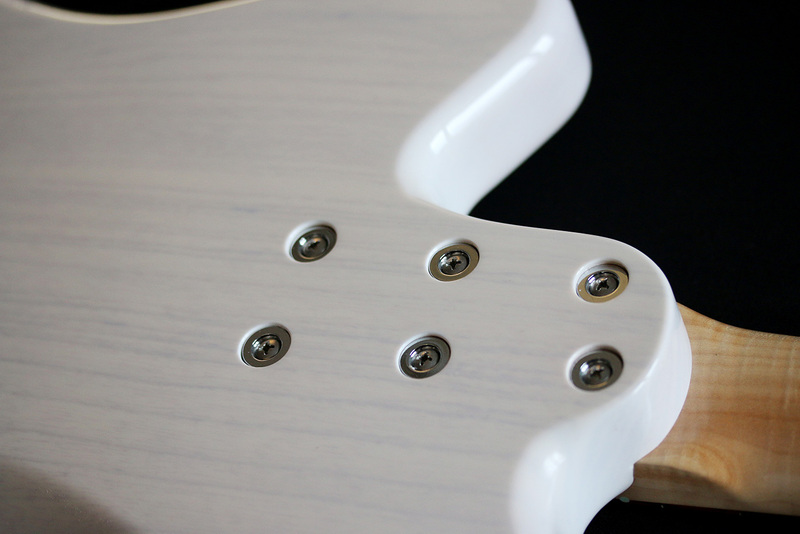 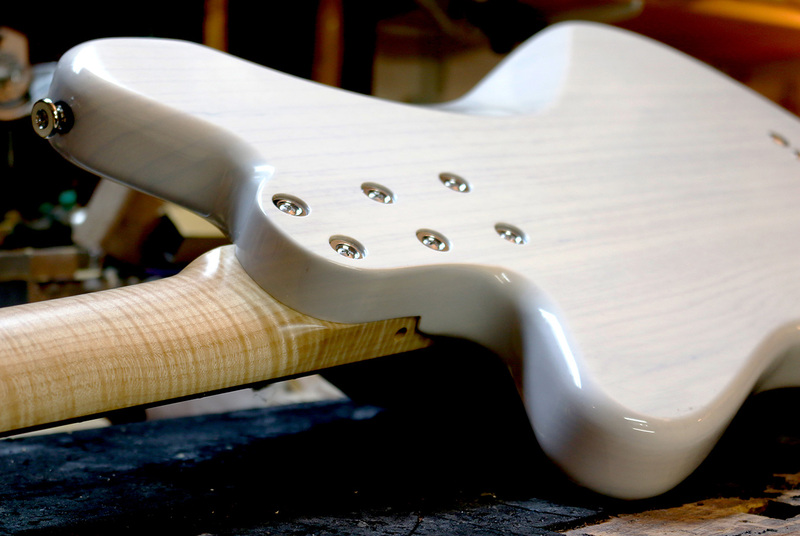 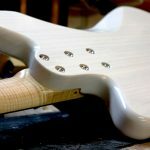 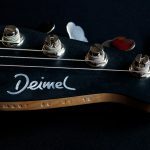 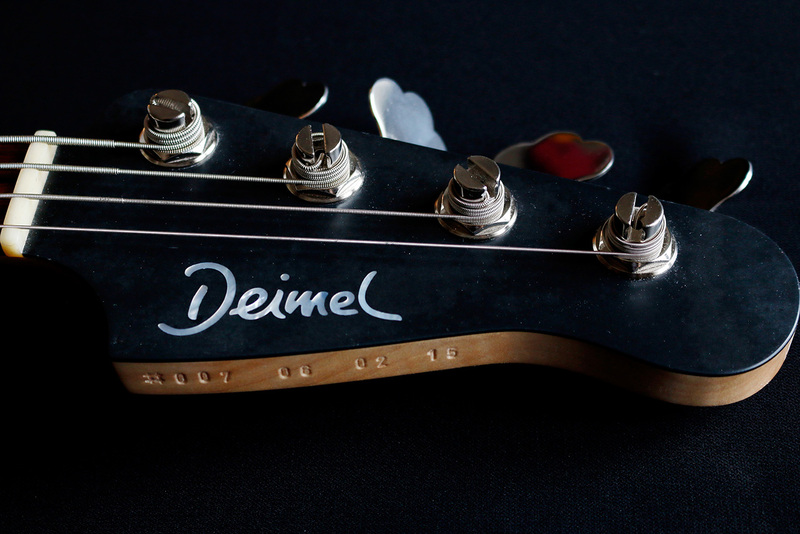 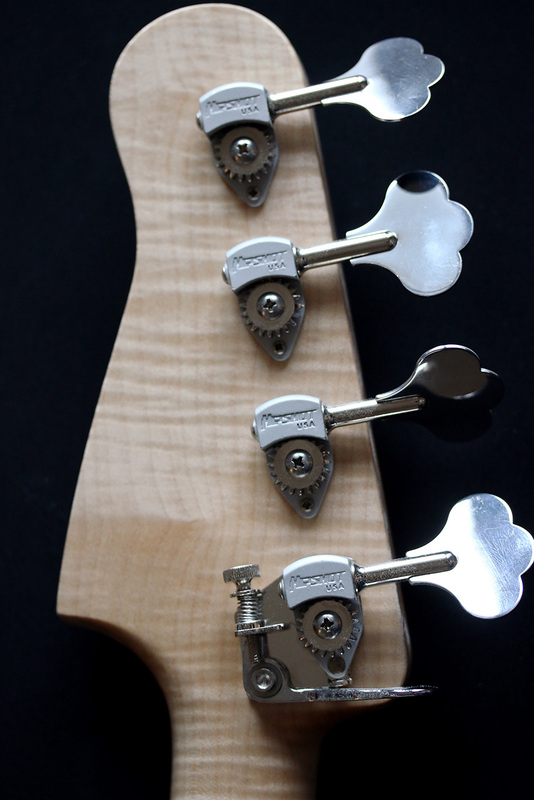 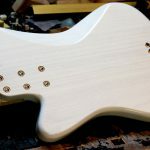 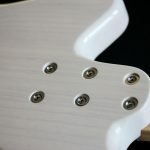 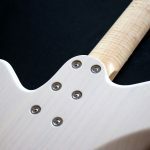 Compared to yellow poplar or mahogany, swamp ash always behaves sweet-tempered, always in a pleasant way of presenting many lows, and smooth highs. 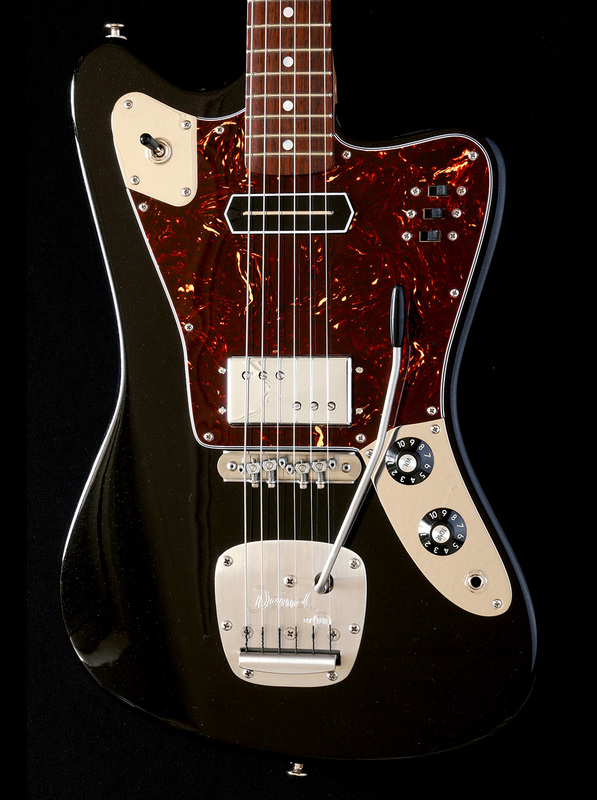 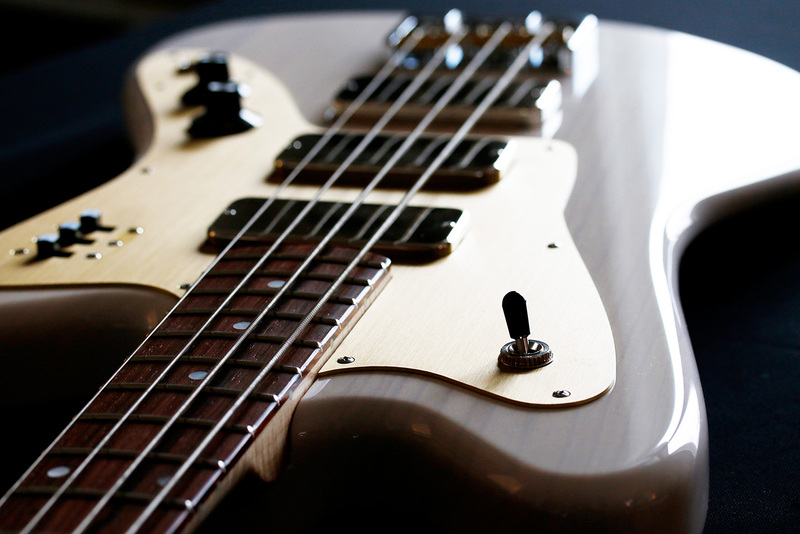 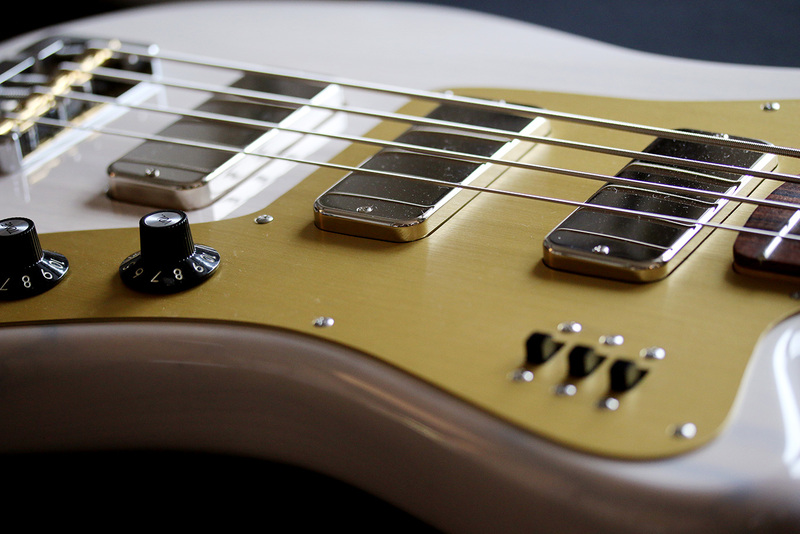 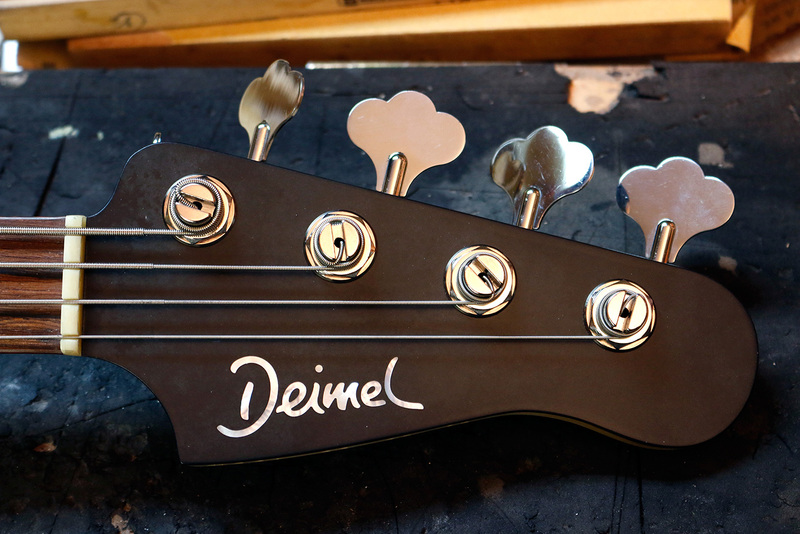 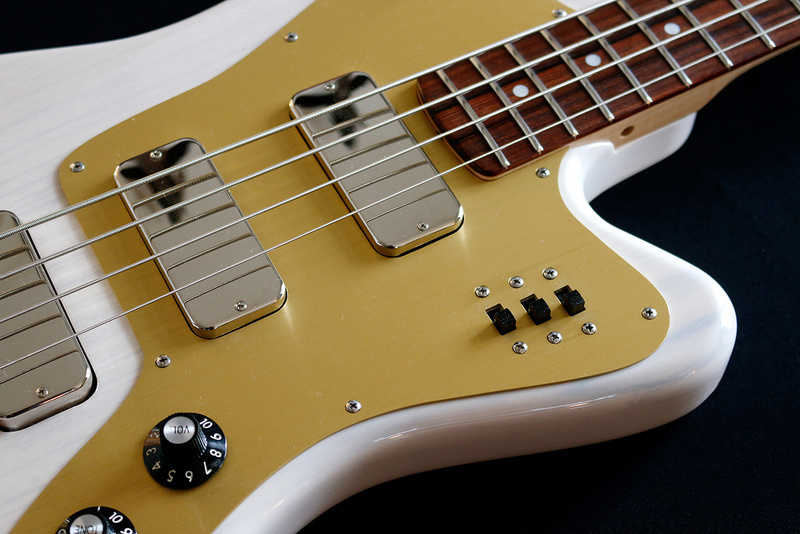 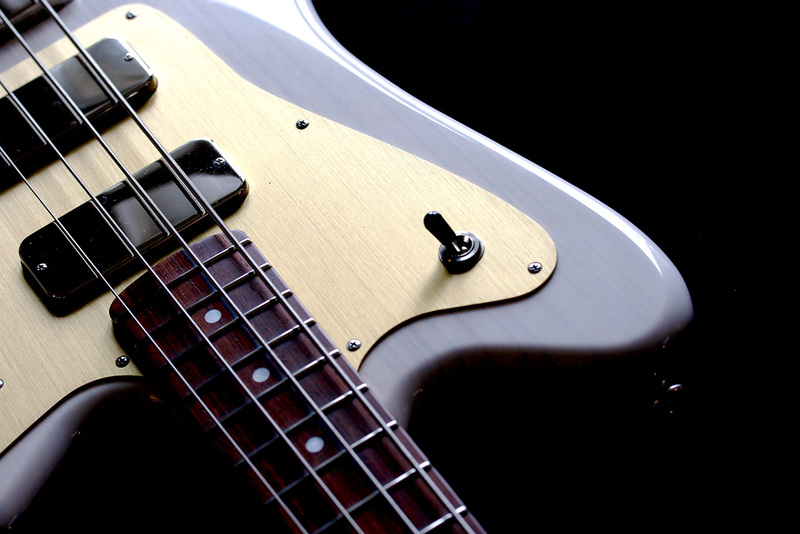 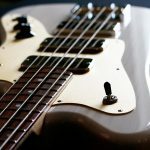 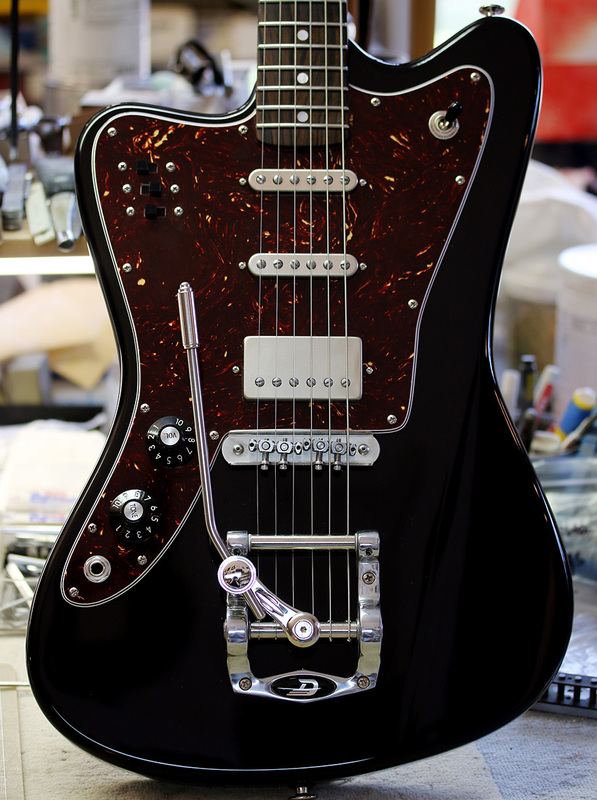 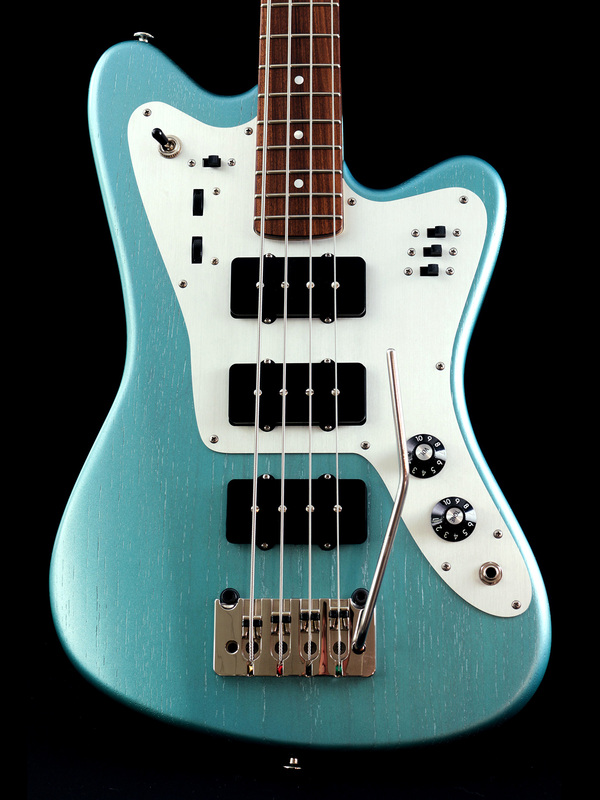 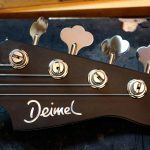 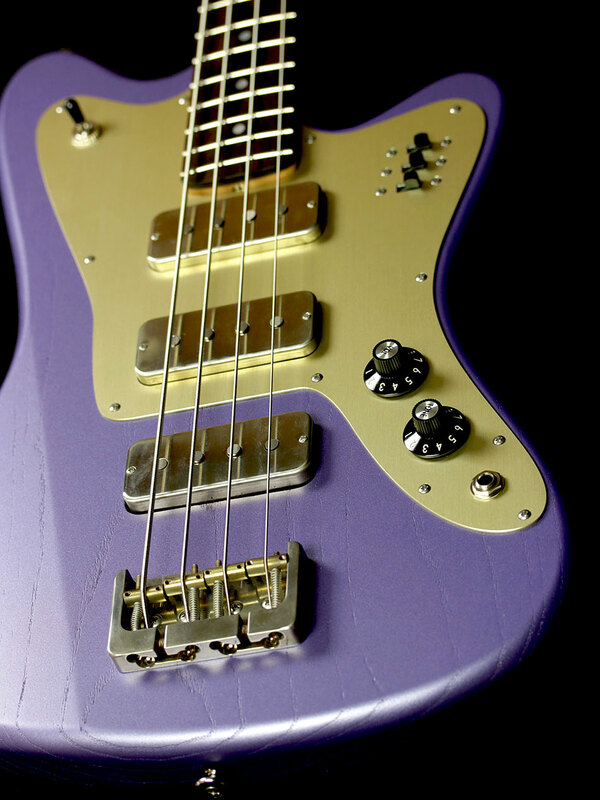 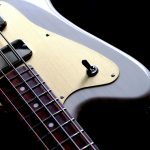 Depending on what you personally are into, this bass guitar delivers all the success tones by a flip of a switch!